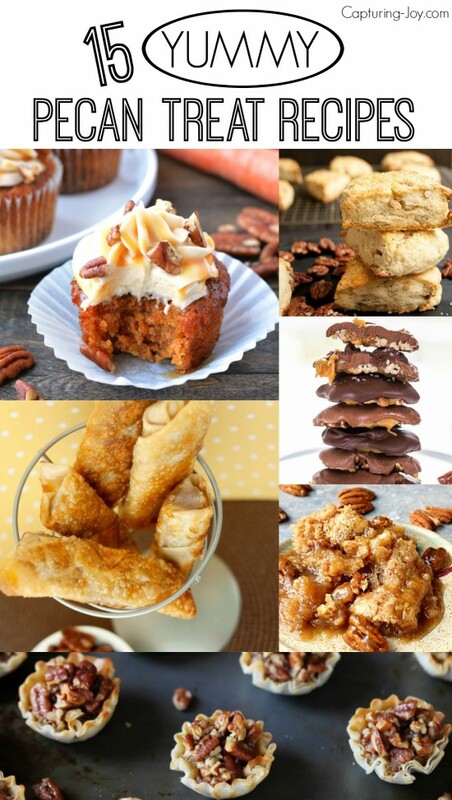 Pecan Treat Recipes that are deliciously perfect Fall treats. 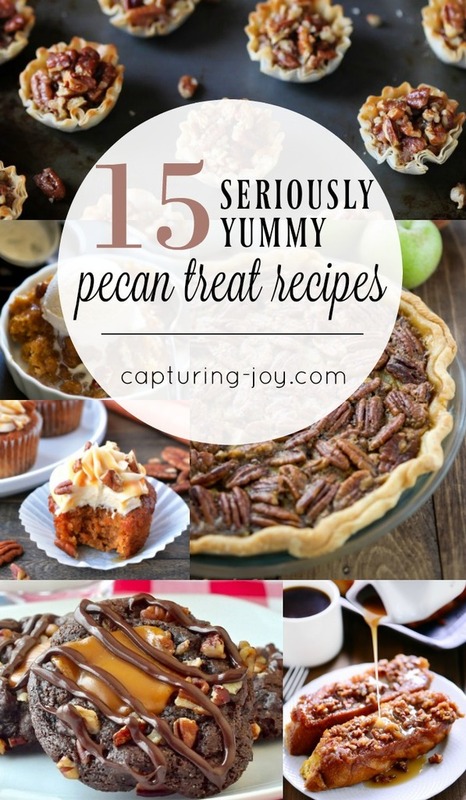 If you love pecans as much as I do, you will surely love these 15 Yummy Pecan Treat Recipes. 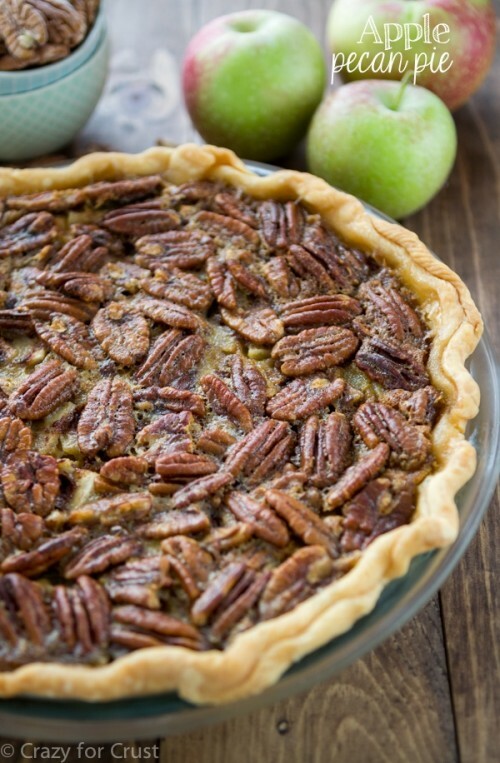 It seems like fall is all about the pecan and pecan pie is a definite MUST at my Thanksgiving table. 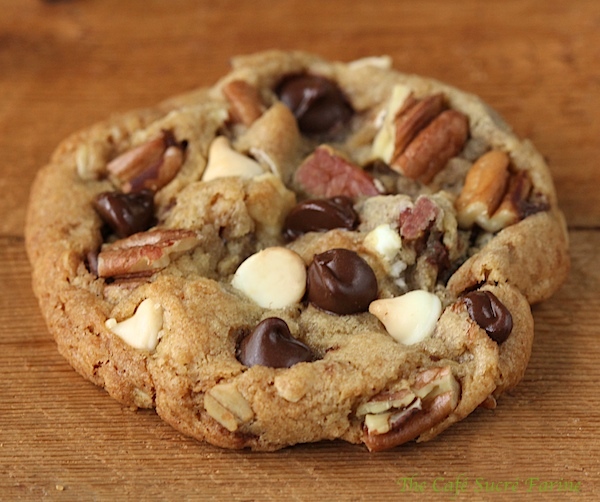 I am always on the lookout for more deliocious pecan treat recipes. Which one looks most delicious to you? 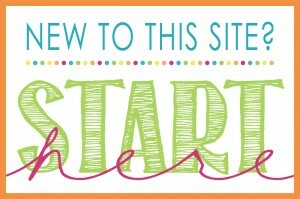 Click on the link below each image to be taken to the pecan treat recipe! 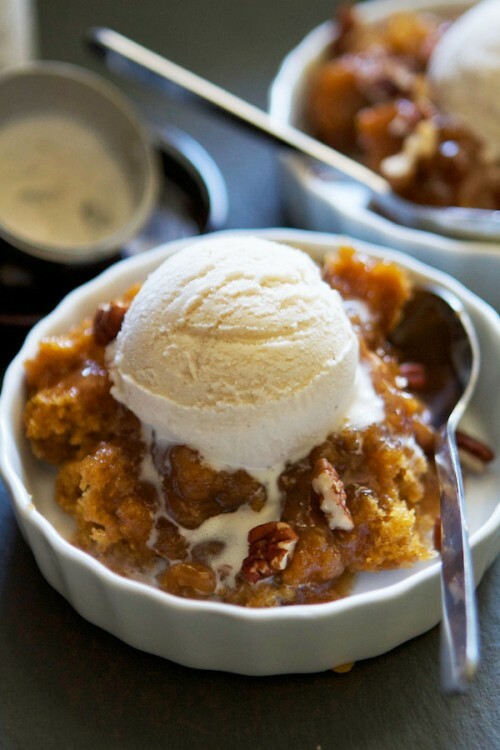 This Pumpkin Pecan Cobbler from Lauren’s Latest looks like the perfect Fall evening dessert. 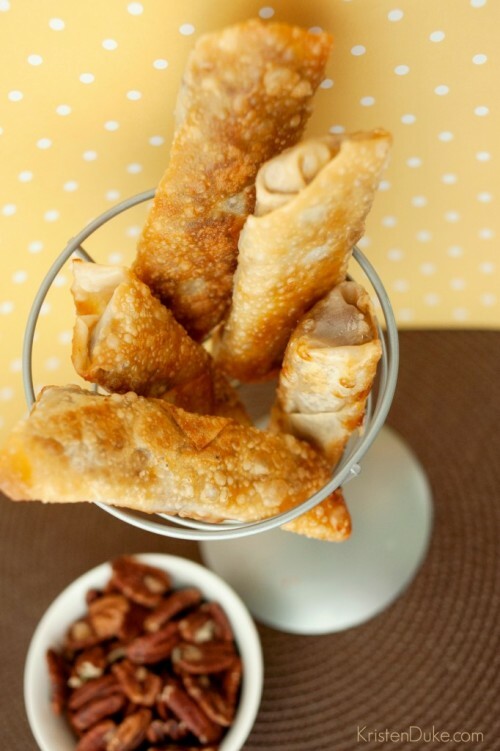 And my family loved these Pecan Pie Eggrolls we made. 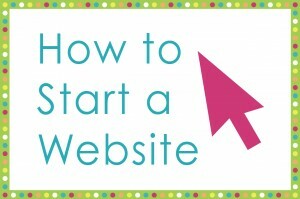 So easy, but delicious! 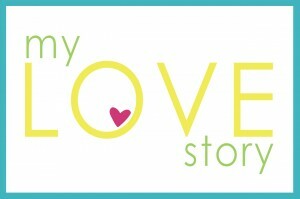 Who doesn’t want to try a cookie with pecans called the I Want to Marry You Cookies from The Cafe Sucre Farine? 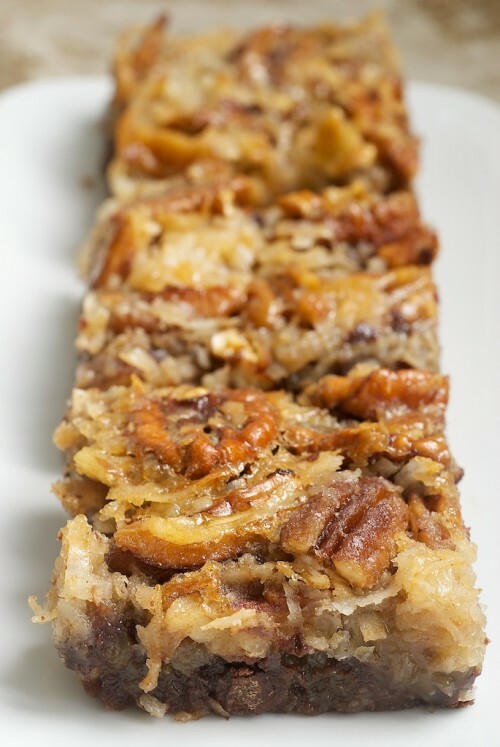 And these German Chocolate Pecan Pie Bars from Bake or Break look so delicious you might want to eat the entire pan. 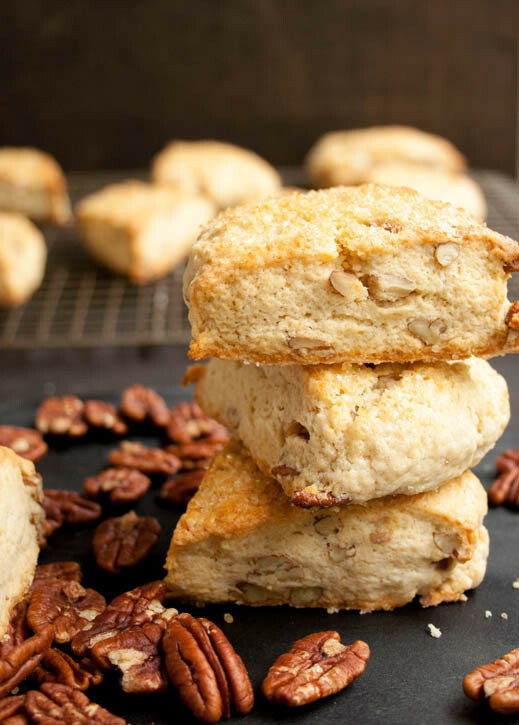 These Brown Sugar Butter Pecan Scones from The Merchant Baker make a delicious warm breakfast treat on a cool Fall morning. 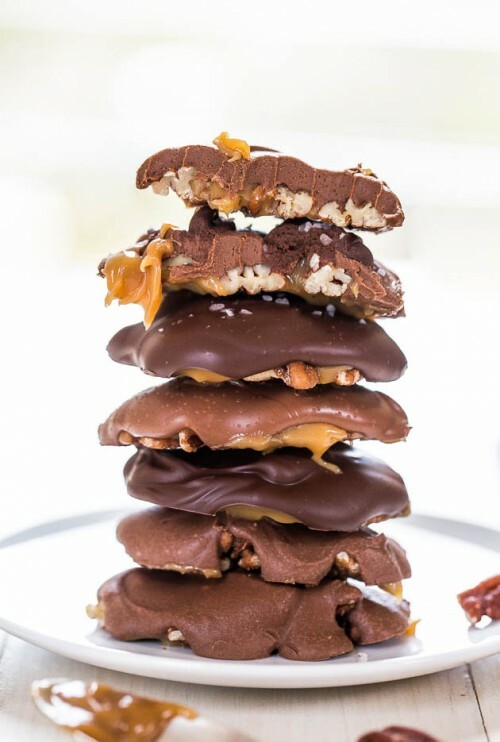 These Homemade Turtles from Averie Cooks look amazing. 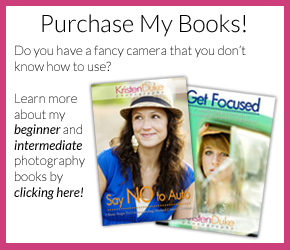 This Pecan Dump Cakes from Call Me PMC is a quick and easy recipe for a busy Fall day. 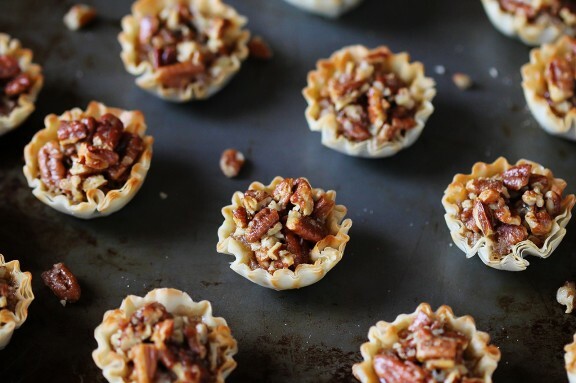 And Easy Mini Pecan Tarts from Gimme Some Oven are great for a last minute gathering. 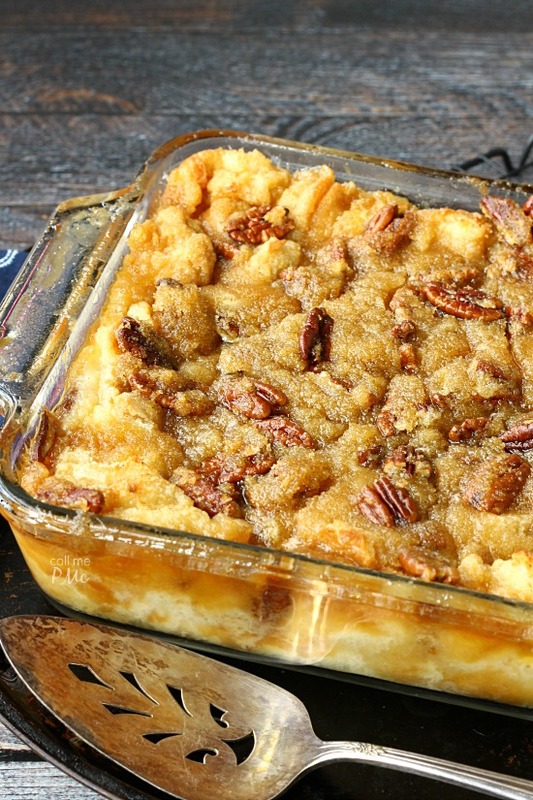 If you love pecans and you love bread pudding, than this Pecan Pie Bread Pudding from Call Me PMC is a must try! 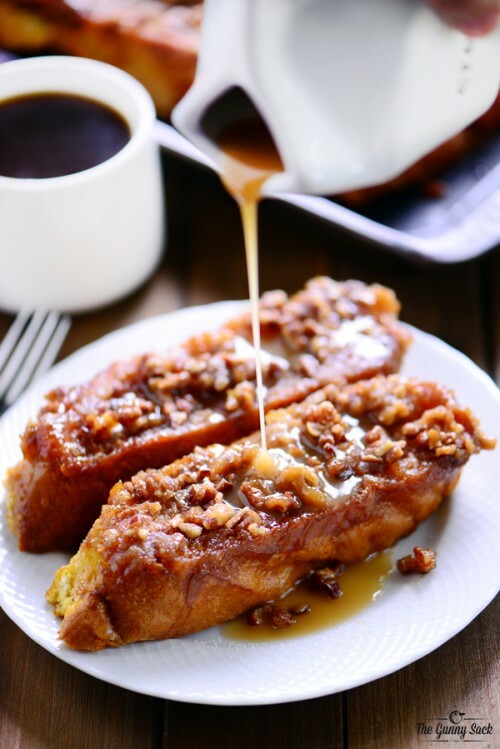 I feel like this Pumpkin Caramel Pecan Baked French Toast from The Gunny Sack would be perfect served in bed on a cold morning! 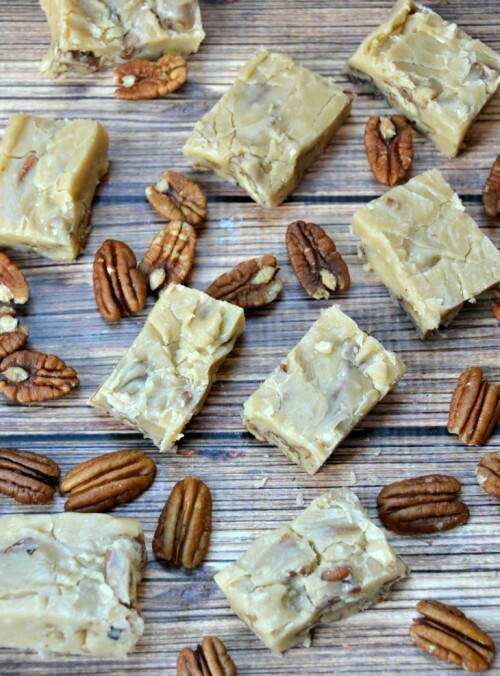 This delicious Butter Pecan Fudge Recipe from Growing up Gabel would made a perfect hostess gift, if you can get it out of the house without eating all of it. 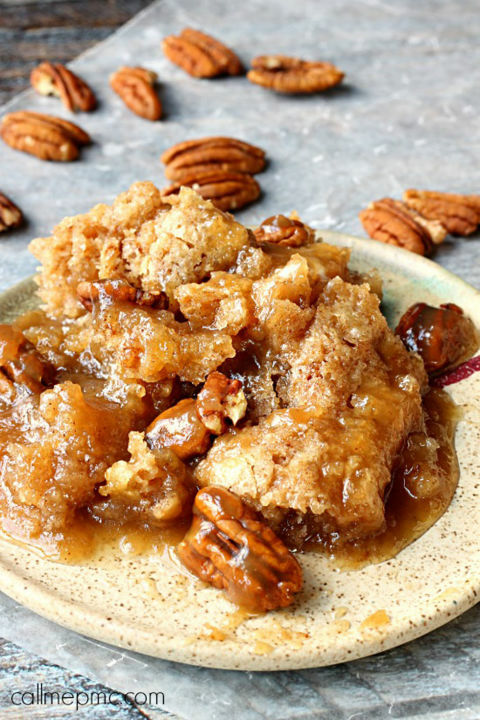 And if you are looking for a new pie to try for Thanksgiving dinner, this Apple Pecan Pie from Crazy for Crust is amazing. 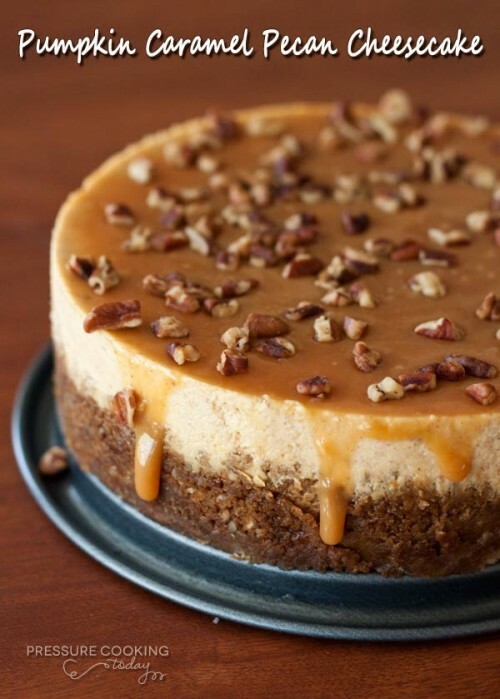 Instead of another pie, try this Pumpkin Caramel Pecan Cheesecake from Pressure Cooking Today. 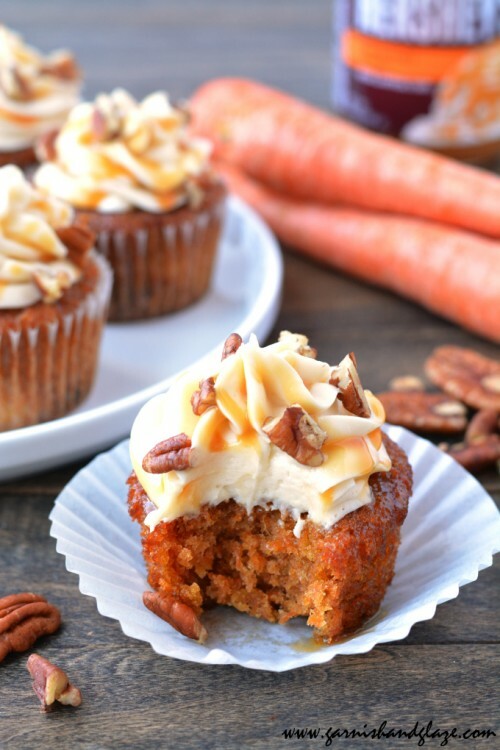 Or these Caramel Pecan Carrot Cups from Garnish and Glaze. 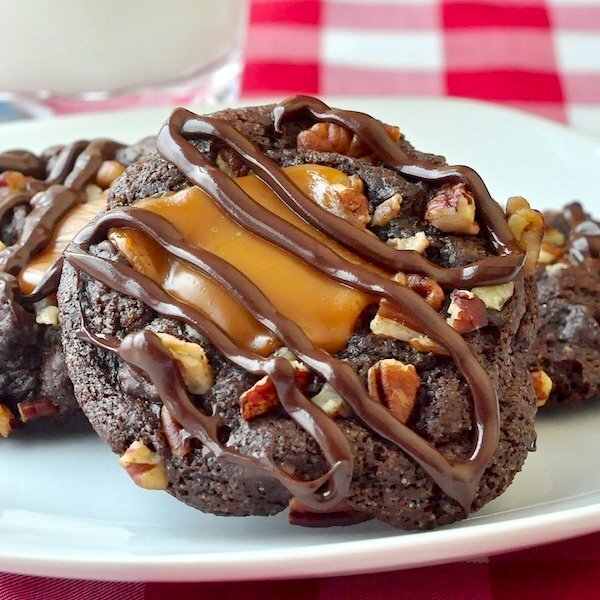 And throw in some of these delicious Turtle Cookies from Rock Recipes while you are at it!